Sometimes people make the mistake of thinking Mormons believe the Book of Mormon teaches everything there is to know about Jesus. I'm not sure how this myth got started, but it's certainly not something taught in LDS Sunday School or any other curriculum of the Church. Therefore, there's no reason for anyone outside of the Church to believe it either. Ironically, the Bible is also often held up against the Book of Mormon as a complete and perfect standard of all knowledge about everything...everything...about Jesus, even to the point that nothing more can or should be written. The simple mathematical fact is that no one book can contain everything a person said or did. Any biographer can tell you this with 100% certainty. It's simply impossible for mortal ears and eyes to convert to writing the sheer volume of all events and speech in even one person's life. 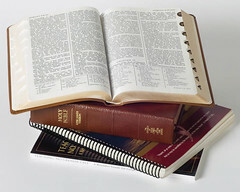 We were not meant to look at any work of scripture, Bible or Book of Mormon, as a universal compendium of everything there is to know about a person or events or even doctrine! Rather, the highlights and key events and doctrines in the lives and speech of the prophets and of Jesus Christ are recorded in these books as a way to unify truth into one great whole. More knowledge will be given to us later, if we can show that we're willing to believe and obey what we've already been given. In the Book of Mormon, the prophet Mormon included a statement by Nephi's younger brother, Jacob, about the fact that not everything the people of Nephi did could be recorded in one book, or even in many books. And a hundredth part of the proceedings of this people, which now began to be numerous, cannot be written upon these plates; but many of their proceedings are written upon the larger plates, and their wars, and their contentions, and the reigns of their kings. 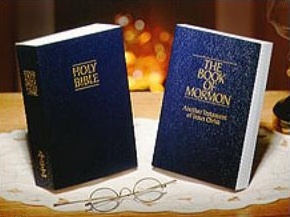 Indeed, both the Bible and the Book of Mormon affirm that there are other nations that had been touched by Gospel teachings. Those experiences were recorded. The following instances in the Book of Mormon show where more is mentioned or said that was not actually written, or that was or is yet to be written, or that was written and was subsequently lost (the 116 translated pages that Martin Harris lost) or not included (material that Mormon simply summarized or just didn't include in his abridgment), or that was written and we just don't know about it yet. And behold, the things which this apostle of the Lamb shall write are many things which thou hast seen; and behold, the remainder shalt thou see. And also others who have been, to them hath he shown all things, and they have written them; and they are sealed up to come forth in their purity, according to the truth which is in the Lamb, in the own due time of the Lord, unto the house of Israel. And behold, I, Nephi, am forbidden that I should write the remainder of the things which I saw and heard; wherefore the things which I have written sufficeth me; and I have written but a small part of the things which I saw. And now, Jacob spake many more things to my people at that time; nevertheless only these things have I caused to be written, for the things which I have written sufficeth me. And it came to pass that Amulek went and stood forth, and began to preach unto them also. And now the words of Amulek are not all written, nevertheless a part of his words are written in this book. And it came to pass that these were the words which Helaman taught to his sons; yea, he did teach them many things which are not written, and also many things which are written. For behold, out of the books which have been written, and which shall be written, shall this people be judged, for by them shall their works be known unto men. 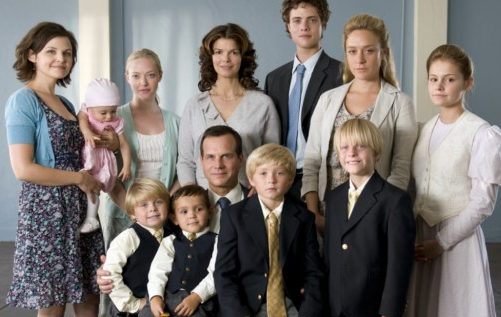 LDS Living - Book of Mormon Lesson 42: "This Is My Gospel"
When this is shown to critics of the LDS church, the critics either ignore it and change the subject, and/or they start with the same old tired accusations of polygamy, polyandry, racism, money digging, and so forth. The critics never address this little verse. At least that I have not seen.